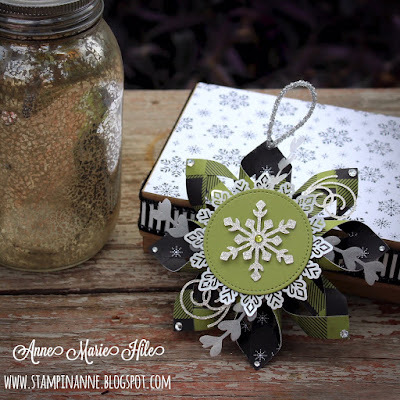 Hello and Happy Saturday stamping friends! I hope you are enjoying your day today! Over the next couple of days I am going to be sharing with you some of the projects I made for our team meeting this past Monday. One of the projects for our meeting was a handmade ornament exchange. It was so awesome to see what everyone came up with! 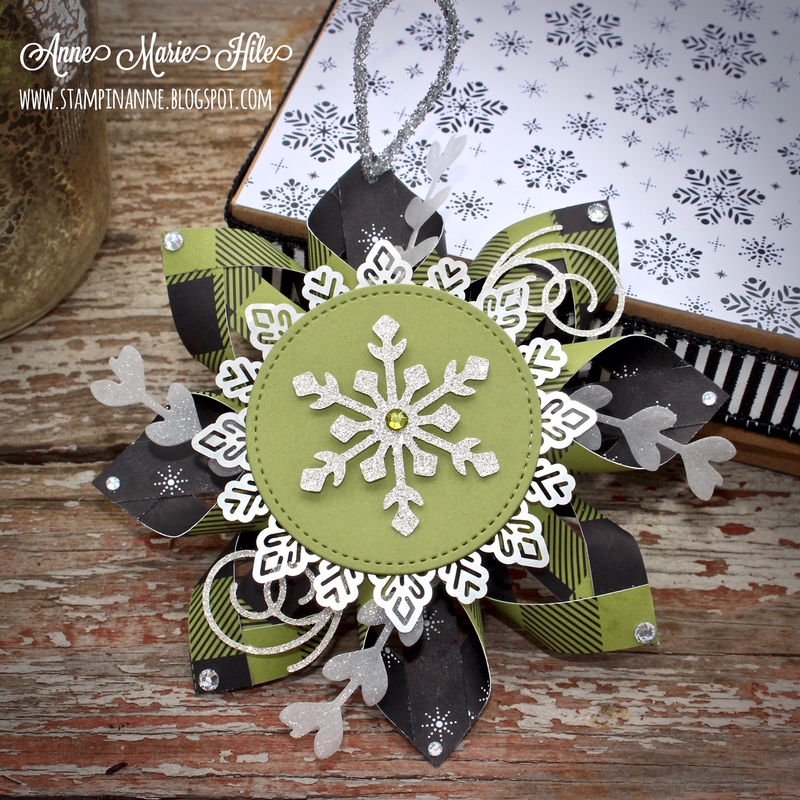 I immediately went to Pinterest to search for inspiration and came upon a video tutorial for this 3-D Snowflake Ornament from Carrie Rhoades. 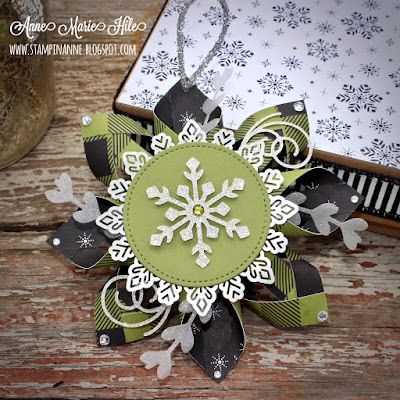 She shared a fantastic tutorial to create this ornament on her blog. HERE is the link to check it out! 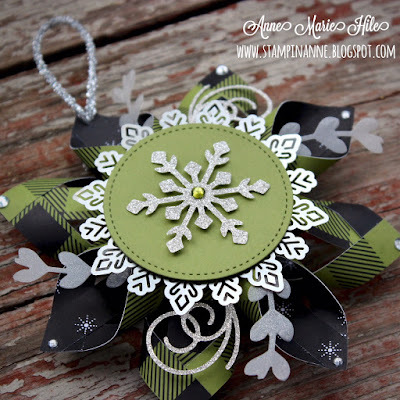 The ornament itself is simply created from a 6x6 sheet of paper. 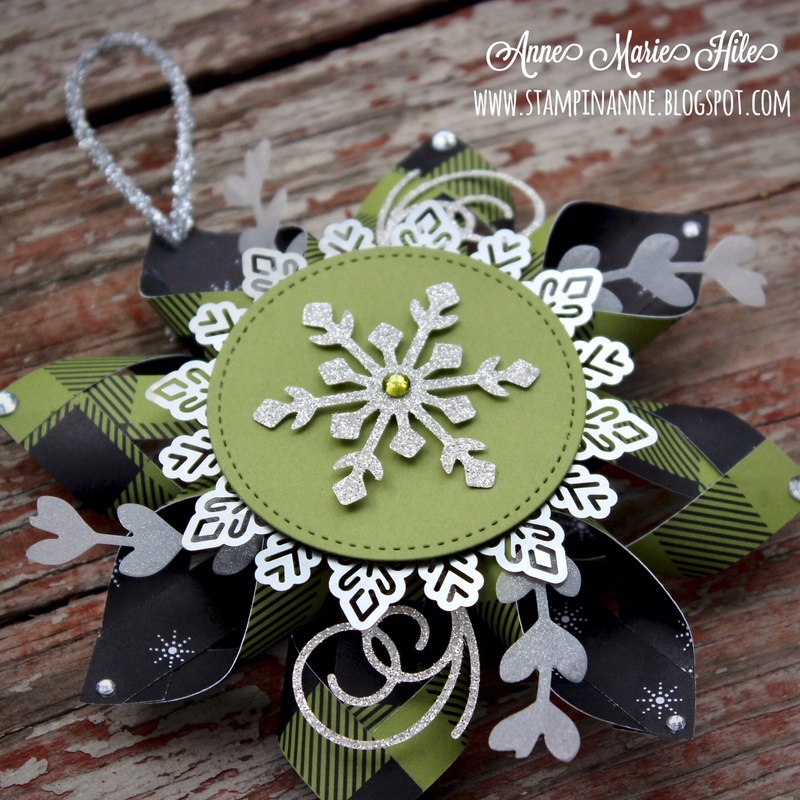 Once you assemble the ornament, you can embellish it in SO many different ways, which I love! The box even had a piece of red tissue paper in there already, so it must have been meant to be. I just added a piece of Merry Little Christmas DSP to the top of the box and stuck some of the 7/8” Black and White Striped Ribbon around the box top. I love that the ribbon has wire in it, so it is really easy to work with. Thank you so much for stopping by today! All of the products used on my ornament (except that gift box, haha) can be purchased in my online store. But hurry, many of the items will be retiring soon! Click on the product photos below to order.